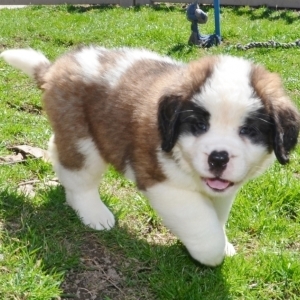 The Saint Bernard is truly a gentle giant! 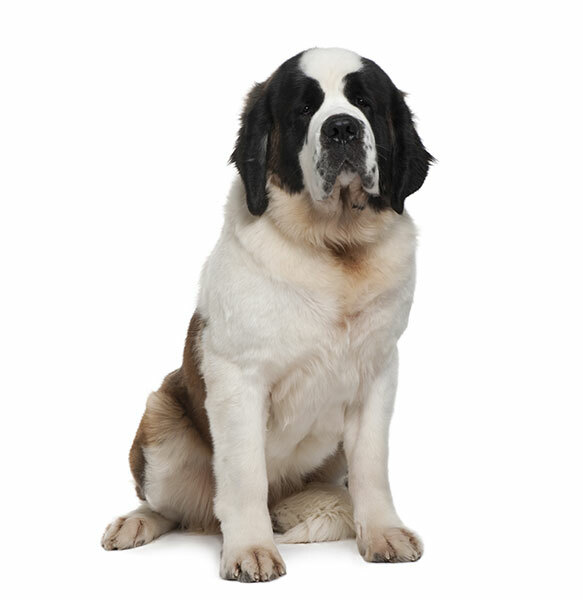 Saint Bernards originally worked as avalanche search and rescue dogs because of their incredible sense of smell and strong build. 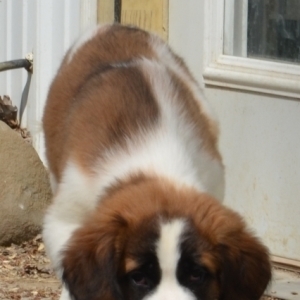 These intelligent dogs are very large in size but are beloved family companions and playmates. They are good-natured, mellow, and get along very well with children and other animals. As a result of their stature, Saints do best in larger living spaces and thrive on love and attention. 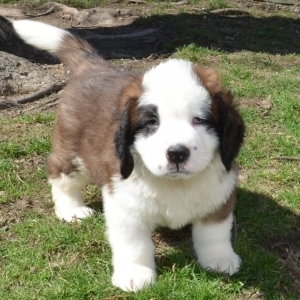 It is estimated that during their three centuries of rescue work, Saint Bernards have saved over 2,000 lives. 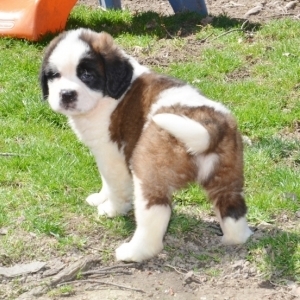 The St. Bernard originated in Switzerland, likely during or before the 17th century.